Technological advancements have made the competition fearless. No wonder organization worldwide leverage cutting-edge technology to get the competitive advantage over competitors. It is a fast-paced world! Things like efficiency, productivity, and performance are something that no one wants to compromise with. Therefore, businesses make all possible efforts to stay ahead of the competition. 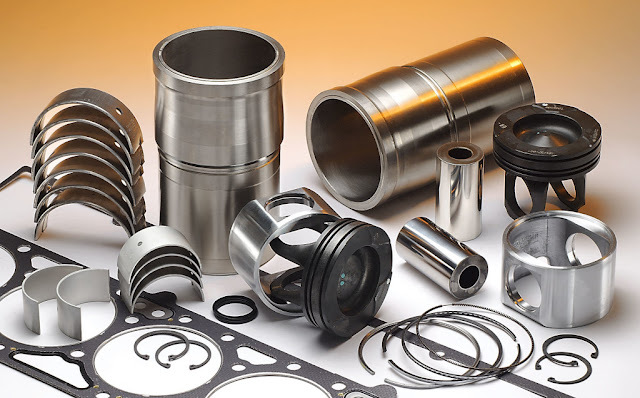 Today, firms that are the part of industries like automotive, oil & gas, agriculture, construction, or mining, leverage different types of high-performance engines that incorporate Caterpillar engine parts to boost their performance. After all, it is all about business and taking it light may prove to be a costly mistake. This post further explains 4 reasons to choose Caterpillar engine parts. Read on! One of the most important reasons to use engine parts from Caterpillar is to lower fuel costs. It lets you cut fuel cost dramatically by offering high fuel efficiency. Industrial machines made with Caterpillar engine parts comparatively consume less fuel than other Industrial OEM engines. You can repower your plant machinery with Caterpillar's fuel efficient engine parts to repower and reduce expenses on fuels. If you consider Caterpillar engine parts to repower your plant, you would be able to get the best of cutting-edge technology which helps you get the competitive advantage over your competitors. Further, incorporating new engine parts comes with the warranty. So, there is nothing to be serious about. Apart from it, repowering existing machineries with new engine parts helps you boost overall productivity of your organization. Caterpillar engine parts are made with contemporary technology that is finely tuned to produce fewer emissions. So, leverage new parts will not only improve overall efficiency and productivity, but also makes you a responsible entity in the market by allowing you to go green. Further, if you repower equipment of your plants with new engines, it helps you meet emission standards which spread a positive message that sustainability and environmental responsibility is important to you. Caterpillar engine parts assure you choose a reputed brand that not only helps you repower your plant, but also give an ultimate peace of mind. A majority of business owners leverage these engines parts for boosting their business and simplifying workflow. Other benefits include warranty, best dealer network, service, and most importantly brand value. The points explained above show how levering Caterpillar engine parts can help you stay competitive in the market.